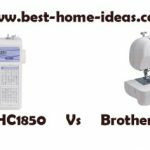 Janome 18750 is a lightweight sewing machine with some nice features. But it is not a machine without limitations. There are some shortcomings. 18750 belongs to the Hello Kitty range from Janome. 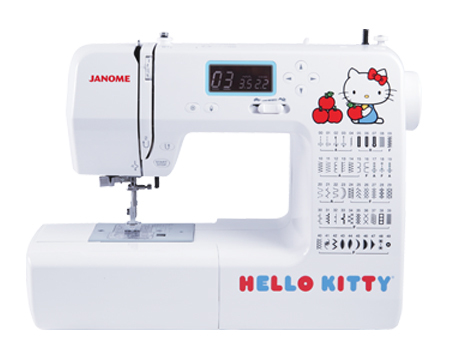 This is a sewing machine designed for beginners and the Hello Kitty logo and design makes it kids’ favorite. 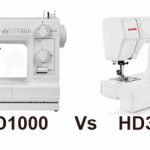 To be honest, if you take out the Hello Kitty logo and design, the machine looks very similar to Janome DC1050. Actually both machines are the same, even the prices are similar. If you look at aesthetics, I like Hello Kitty more. It is a cute looking sewing machine. 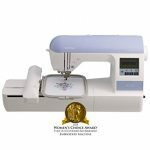 Janome 18750 comes with 50 built-in stitches and 3 one-step buttonholes. 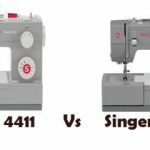 It is a computerized sewing machine. It has start/stop button and speed control slider for sewing without the foot pedal. There is a backlit LCD screen for customization. You can select stitches and edit the stitch length and width with the help of the LCD screen. The machine has all the features that you normally expect for the price. Memorized needle up/down feature is vital for quilters, especially while pivoting. The locking stitch button reinforces the stitches. Easy to access reverse stitch button is also provided. Automatic needle threader saves eye strain. The extra high presser foot lift of Janome 18750 is essential for sewing multiple layers of thick fabrics like denim. The maximum stitch width is 7mm and stitch length is 5mm. The presser feet is snap on type. Free arm capability lets you sew cuffs and sleeves effortlessly. It also has drop feed dog option for free-motion quilting. The machine weighs around 13 pounds, which is certainly not the heaviest. The machine comes with an included soft cover as well. For a beginner machine, the operation is fairly smooth and quiet. Even though it is a lightweight model, it is heavy enough to prevent sliding. 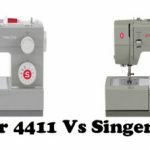 The machine would be a good option for those who attend sewing classes. Straight stitches look quite good. The machine’s performance on light to medium weight fabric is excellent. But it seems to struggle with multiple layers of denim. The bobbin winder seems to be made of low quality plastic. There is no issue with its working, not sure about the durability though. Some users have reported some sort of a whiny noise coming out of the machine. Another big issue is that, the parts and accessories for Janome 18750 are discontinued (as per Janome official website). So you must think twice before jumping in. All in all, I am not quite impressed with what Janome 18750 can offer. Also the fact that parts and accessories are retired, makes me skeptical about this machine. What if, the replacement parts are not available if something goes wrong ? Then the machine becomes useless. In that case, I would consider Janome 8077 as a better alternative even though it costs few extra dollars. It also has 20 less stitches than Hello Kitty, but it is an excellent sewing machine. I know couple of people who use Janome 8077, they absolutely love it.